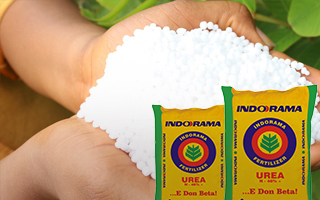 At Indorama Agronomic Services, we make vegetation and plants grow, with fertilizer and high efficiency plant nutrients technology supported by science. By examining and understanding the science that affects crops, we create technologies which can optimize our customers/farmers’ fertilizer investments and provide one-stop crop management information resource tor the farmers. 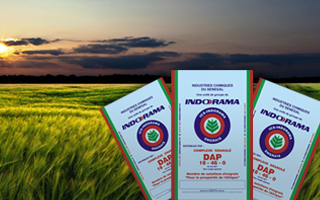 Agronomic Services provides detailed content on crops, best crop management techniques, fertilizers & pesticides and a host of other agriculture related material to boost crop productivity. Our team of expert Agronomists, who closely work with universities and government researchers, are committed to developing and delivering agronomic services that our customers can trust. They also help in problem solving mechanisms in the farmers’ own situations, based on the fact that many farmers have limited agronomic information, on knowledge on the management of crop, use of quality seeds, pest & fertilizers management, water, soil and help implementing agricultural advancements. This section provides detailed and exhaustive information about the crop that one has selected. 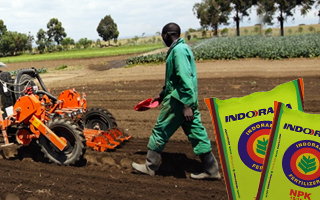 Depending on the nature of the information required such as Fertilizer Management, Insect and disease Management, Harvesting and Storage, Land Preparation, Water Management and many others. The 'Crop Management' section of each crop provides information on a whole range of topics concerning that crop, like: Fertilizer disease, Insect & pest Management harvesting and storage, land preparation, water management and many others. Nutrient deficiency chart help in Diagnostics and solutions for various problems of Plant Nutrition and Fertilizer management.